There is an abundance of shelter dogs in the deep south. That’s why Greg Mahle founded a transport service to relieve these unwanted dogs from their death sentence and ship them north to the arms of loving and eager canine owners. The trip starts on Tuesdays in Ohio, goes south of the Mason Dixon Line to retrieve the dogs and then circles back up north for joyful reunions on Saturdays. 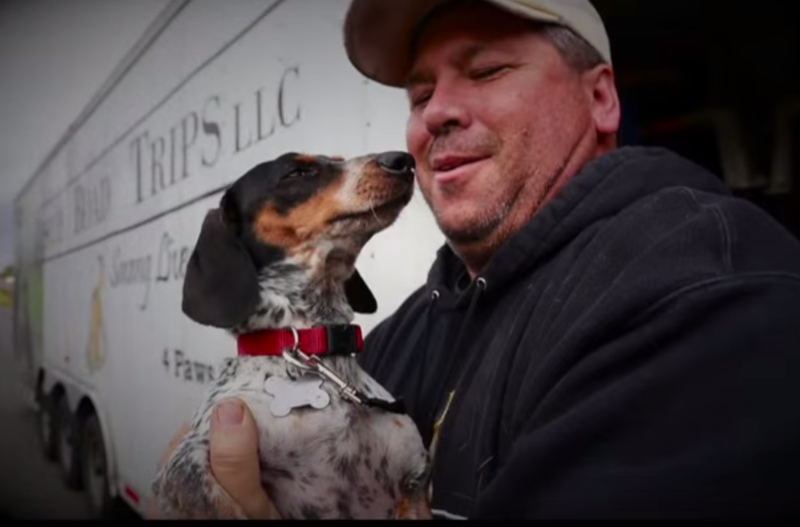 Want to follow Greg Mahle as he finds unloved pets forever homes? You can visit his website or connect with him on Facebook. This video was shot/ edited by Heather Holloway. Eager for more touching pet videos? Visit the Heartwarming Animals YouTube channel, part of the HooplaHa Network…and don’t forget to smile.